It’s that time of year again… you know which one I’m talking about. The weather grows colder, and our sweaters, scarves, and hats are unpacked to keep us warm. The wind says hello with cold embrace against our now rosy cheeks. The sun sets much earlier than we would like it to, and we look forward to getting home after a long day’s work just to curl up in our favorite blanket and binge our favorite series. But nothing quite says December like the Holidays. Is it just me, or does it seem like everyone is overly cheerful, kind, and extremely on-edge during the holiday season? Don’t get me wrong, it is quite refreshing to see a stranger crack a smile back at you for a change, but the Holidays really do bring out a side of people that I wish was exposed to the world more frequently. I will take whatever I can get, and with that, I would like to share my Top Holiday Picks to help make your Holiday shopping a little easier, and smiles a little brighter! I was recently introduced to this moisturizer, and just had to share it with all of you. The cold winters mean dry skin, but this moisturizer is truly the solution to soft and radiant skin! It comes in 2 sizes: 0.85 oz and 2.0 oz & for a limited time, you could get your hands on a Limited Edition Tote Set, which includes the moisturizer, a sleep mask and a sheet mask! From the smell to the way my skin feels after applying, I really look forward to using this moisturizer every day! You could purchase your own by clicking here: Let’s get moisturizing! Keeping your skin moisturized in the winter should always be a top priority, but so should your hair care. 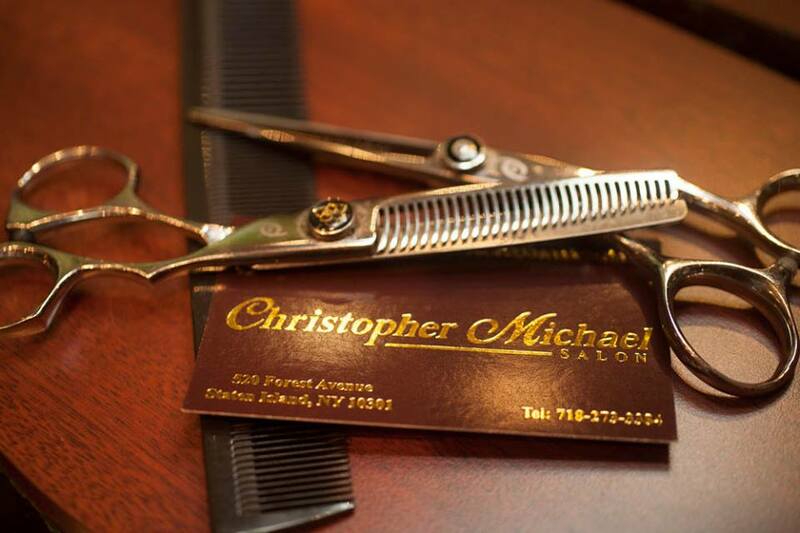 Christopher Michael Salon is the perfect place for all of your hair wants and needs! Give your loved one a gift card, or treat yourself to a healthy cut this winter! Ps, ask for Danielle Brancaccio! When it comes to food, the Holiday’s can get tough. “How much do I make?” “Who is coming?” “What if someone doesn’t like what I’m making?” Don’t worry, we’ve all been there. 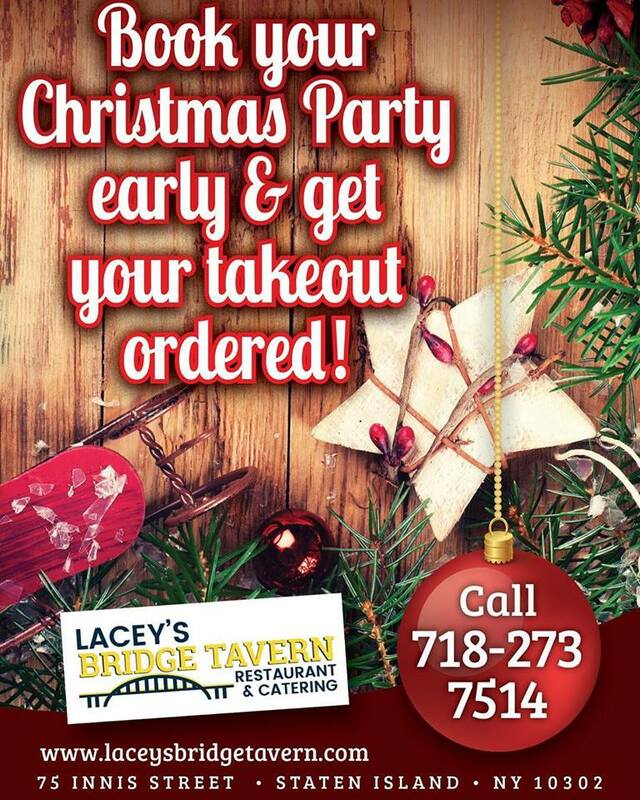 Make your life a little less stressful this Holiday season, and order from one of my favorite restaurants on Staten Island, Lacey’s Bridge Tavern. Lacey’s has a menu that is to-die-for! The food is always fresh and you will leave satisfied and already planning your next visit (I promise you). If you or someone you know is looking to make the Holidays a little less stressful, either click the image or the following link to order for you and yours! Take me to Lacey’s please!